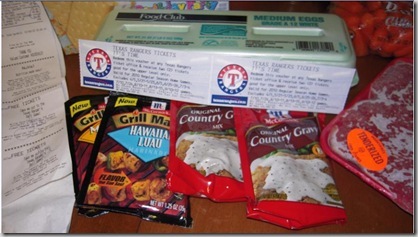 Great Trip To Brookshire’s and FREE Texas Ranger Tickets! 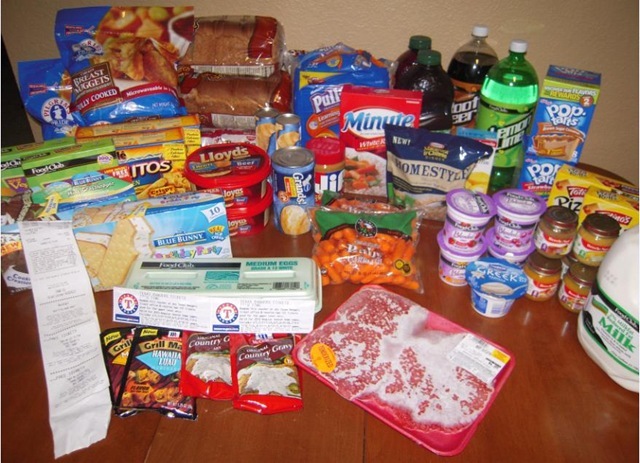 You are here: Home / FREEbies / Great Trip To Brookshire’s and FREE Texas Ranger Tickets! 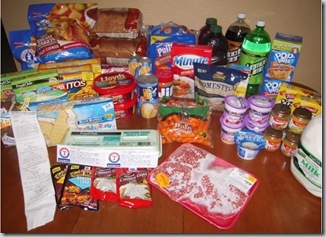 Jamie wrote in about a GREAT deal she did at Brookshire’s! I just wanted to let you know about a great deal going on at Brookshire’s stores in Texas. 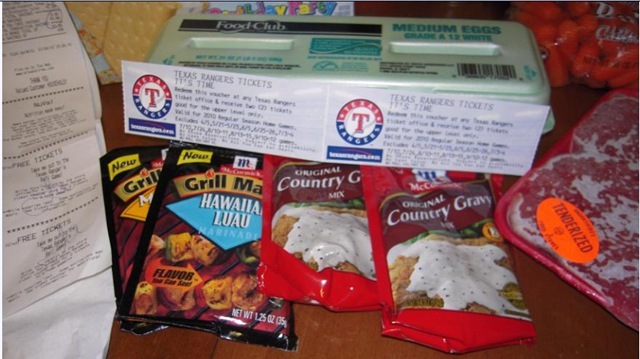 They are giving away vouchers for 2 Texas Rangers tickets when you buy any 2 McCormick products. I went today and bought 2 country gravy mixes for $1.00 each and 2 McCormick marinade packets for $1.19 each but were BOGO FREE! Then I received 2 vouchers for 2 tickets each. Basically I’m getting 4 Ranger tickets for $3.19! My family is going to enjoy a cheap night at the ballpark thanks to McCormick and Brookshires! I NEVER shop there, but saw this in their ad and went. The eggs were FREE with 3 Pillsbury items. The Homestyle Mac-n-Cheese was FREE with Kraft coupon (this is the first store I’ve found it in! ), the Pull-ups were in their clearance section for $4! Two things didn’t make it into the picture- a second $4 package of Pull-ups and a package of cookies. Wow! Jamie, thanks for sharing! What a great job and FREE Rangers tickets to boot!